Over 80 percent of adult Americans drive and driving is the number one way most Americans travel today. Five out of the top 10 most congested cities in the world are from the U.S. and that is why cities across the country are trying to find ways to combat congestion on existing roads. Many urban planners at city departments of transportation want to get people out of their cars and riding bikes, taking buses, riding subways or trolleys and walking. Cars and drivers have become the scourge of urban cores. Ironically, many of us also ride bikes, take buses, and walk on streets. Under the banner of Vision Zero or Complete Streets (see below), a number of cities are trying to place a diet of sorts on roads. New York City under the Vision Zero Banner has been working diligently to create road diets throughout the five boroughs. Prime example: taking a four lane street down to two to expand the sidewalk and place a bike path on either side. For many motorists, driving in a street that has been restricted like this promotes even more traffic congestion than before the road diet. Remember, the whole point is to get people out of their cars. Vision Zero is an international program with the strategy to eliminate all traffic fatalities and severe injuries, while increasing safe, healthy, equitable mobility for all. The problem: the program takes a great deal of funds and is financially unsustainable even though the goal to end all traffic deaths is important. Complete Streets is a transportation policy and design approach that requires streets to be planned, designed, operated, and maintained to enable safe, convenient and comfortable travel and access for users of all ages and abilities regardless of their mode of transportation. Pushing back against Road Diets and Traffic Calming is Possible! Motorists are fighting back. In 2017, commuters using two important commuting thoroughfares in Playa del Rey became so enraged that they not only formed two groups to fight city hall but also started a recall campaign against the city councilman who championed the road diet in the first place. In October, the city reversed the road diet. As reported last May, business owners in Minneapolis are also fed up with traffic calming measures. Here is another story about plans for doubling bike lanes in Raleigh, North Carolina. The NMA is opposed to road diets and traffic calming or any measure or regulation that is deliberately designed to inconvenience and hinder the legitimate travel of responsible motorists. If your neck of the woods has started discussing road diets and traffic calming or you already see the results hindering the flow of traffic, check out the NMA’s information on how to build opposition to traffic calming. Did you know that increased traffic on residential streets is often caused by the mismanagement of the main arterials and collector streets? When cities improperly install stop signs, mistime traffic signals and underpost speed limits that have no relation to actual vehicle speeds, drivers will find other streets that flow better. The NMA believes that the solution is not to further obstruct traffic flow by pushing the problem into someone else’s neighborhood. The real solution is to upgrade and improve the traffic handling capabilities of main thoroughfares. This means implementing physical improvements, as well as raising speed limits and synchronizing traffic controls to accommodate actual vehicle speeds. If main streets provide convenient access between home, work and shopping destinations, motorists will use them, versus alternate routes through residential neighborhoods. In 2016, the National Motorists Association launched a STREETS THAT WORK initiative designed to influence lawmakers and educate the public on the societal benefits of freedom of mobility. The NMA initiative is the antidote for Vision Zero, which aspires by government mandate and at great cost – fiscally and in terms of personal autonomy – to reshape urban transportation. Improved road safety that is realistic, fiscally sustainable, and doesn’t feel like a government-mandated social experiment. An end to arbitrary mobility restrictions on urban streets that will decrease personal transportation options while increasing travel times. One set of “rules of the road” for all users so that individual and shared responsibilities are clear to all. Intelligent placement of bicycle paths that complement rather than displace motorized traffic. Let’s face it, motorists have the largest majority of any interest group in the country. Collectively, we have a mighty big voice when it comes to things like road diets and traffic calming. 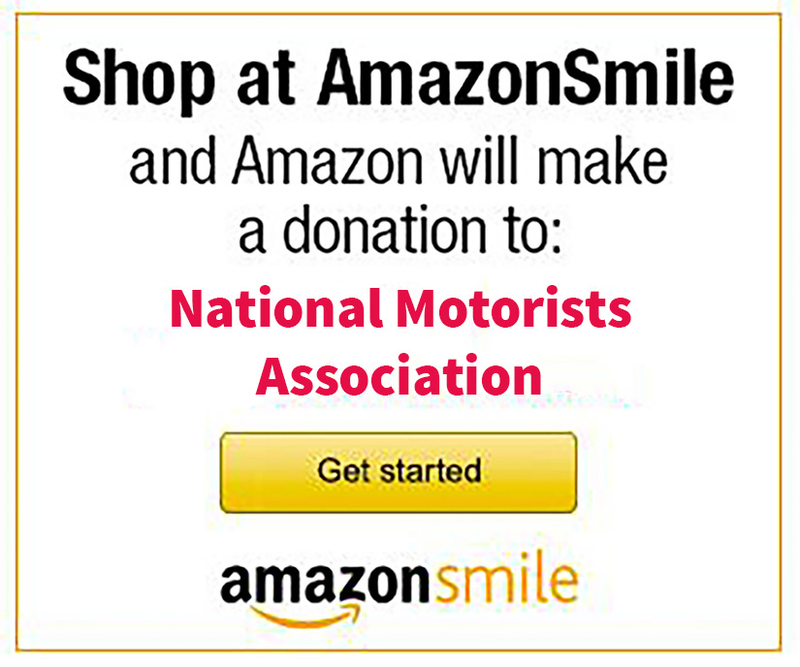 Join the National Motorists Association to help bring that voice to more motorists around the country. Terrific piece, every NMA member should send it to their township, county and state officials so they have a counter argument to the propaganda of the Vision Zero people.